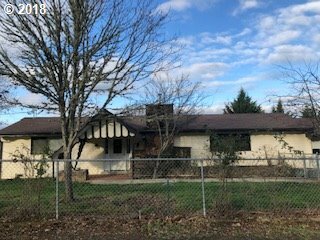 All Sutherlin homes currently listed for sale in Sutherlin as of 04/25/2019 are shown below. You can change the search criteria at any time by pressing the 'Change Search' button below. 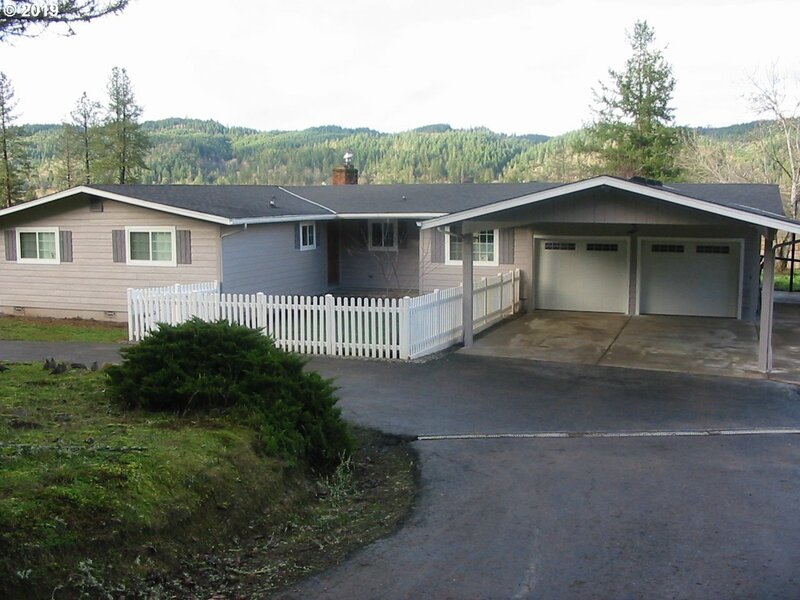 If you have any questions or you would like more information about any Sutherlin homes for sale or other Sutherlin real estate, please contact us and one of our knowledgeable Sutherlin REALTORS® would be pleased to assist you. "Three bedroom home and established restaurant. Home features two large living areas as well as a large bonus room. Popular White Horse Restaurant and Tea Co. located next to home, boasts Douglas county's only coffee roaster. Large, open and bright dining area, large kitchen complete with equipment and fixtures for full service. Restaurant also includes a one bedroom apartment above." "Amazing property with unlimited possibilities. Over 150 ac. total, flat & hillside pasture, timber & approved 2nd home site. Property features remodeled farmhouse w/ daylight basement & bonus area for workshop/hobbies, lighted riding arena w/ stalls & shop, barn & other outbuildings. Includes contiguous 46.01 ac tax lot with additional 2 bed/1 bath house. Division potential, zoning allows 20 ac min. Buyer to complete own due diligence." "NEW CONSTRUCTION! 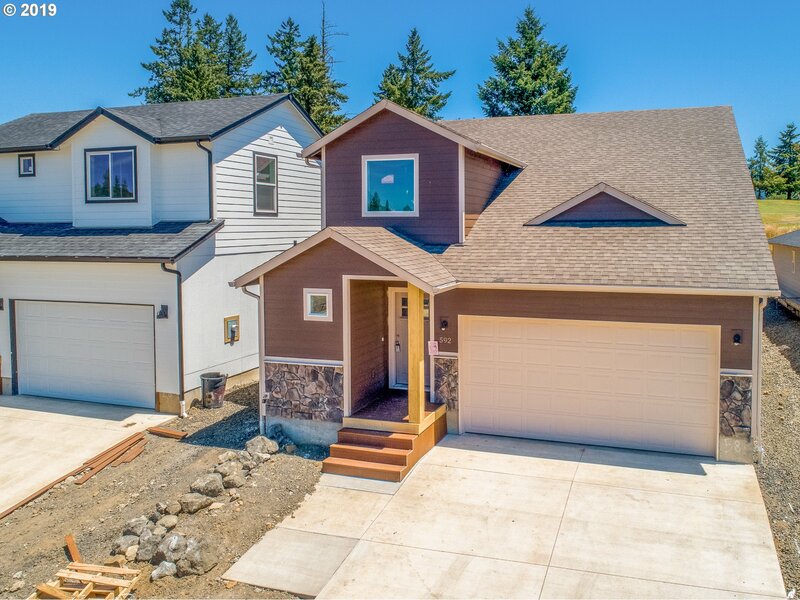 2870 SF two level daylight basement home with 4 bedrooms & 3 baths.This brand new home in Knolls Estates at the Umpqua Golf Resort has open floor plan design with main level Master bedroom, separate laundry room & 2 car garage. Custom cabinetry and finish work throughout home. Hurry and choose your colors!" "Beautiful 2011 built single level home on 2.96 acres. Featuring 3 BR, 3 full BA, w/2316 SF of living space on flat usable acreage. Interior includes open living space, granite kitchen w/island & farmhouse sink, guest suite w/separate living space, and a full BA. Master suite w/ nursery/office. Covered front patio w/stamped concrete surrounding home for year-round enjoyment. Property set up for entertaining w/outdoor sitting area & pool." "Need a home on 11.12 acres that has had a recent major face lift? 3BD 2BA, 1724SF. RV parking, Nice level horse property." "BRAND NEW CONSTRUCTION! 2633 SF two level home with 3 bedrooms & 2.5 bathrooms. Huge living space with great room and fireplace. Kitchen with granite and island. Kitchen nook and separate laundry room. Office. Master suite offers 2 way fireplace and sitting room. 2 car garage. Golf course views! Act now to choose your finishes & color palette!" "BRAND NEW CONSTRUCTION! HUGE 2644 SF two level home with 3 bedrooms plus separate office or 4th bedroom & 2.1 baths. 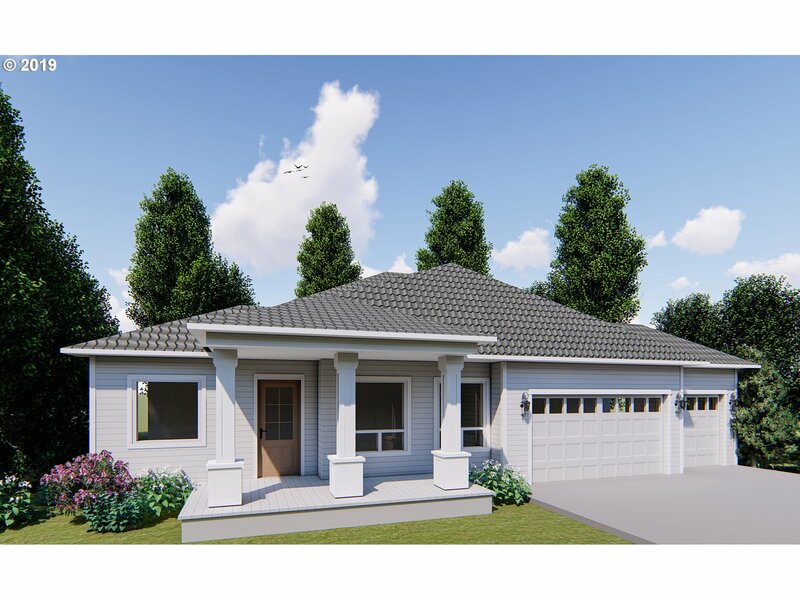 Open floor plan design with granite island kitchen, high quality laminate flooring, separate laundry room & 2 car garage. Golf course views! Act now to choose your finishes & color palette!" "BRAND NEW CONSTRUCTION! LARGE 2810 SF two level home with 4 bedrooms & 3 baths. Open floor plan design with granite island kitchen, solid alder cabinets, high quality laminate flooring, separate laundry room & 2 car garage. Golf course views! Act now to choose your finishes and color palette!" "Beautiful 4 bedroom, 2.5 bath home on large lot in quiet neighborhood. Located within close distance of golf course. High ceilings, recessed lighting. Inviting kitchen with large island, stainless steel appliances, granite counter tops, and pantry. Spacious downstairs family room. Master bedroom complete with walk-in closet, bathroom. Lot 106." "BRAND NEW CONSTRUCTION! NICE ONE LEVEL HOME with 3 bedrooms & 2 baths. Open floor plan design with gas fireplace, granite island kitchen, high quality laminate flooring. Separate laundry room & 2 car garage. Golf course views! Act now to choose your finishes & color palette!" "BRAND NEW CONSTRUCTION! HUGE 2529 SF one level home with 4 bedrooms (2 are master suites) & 3.1 baths. 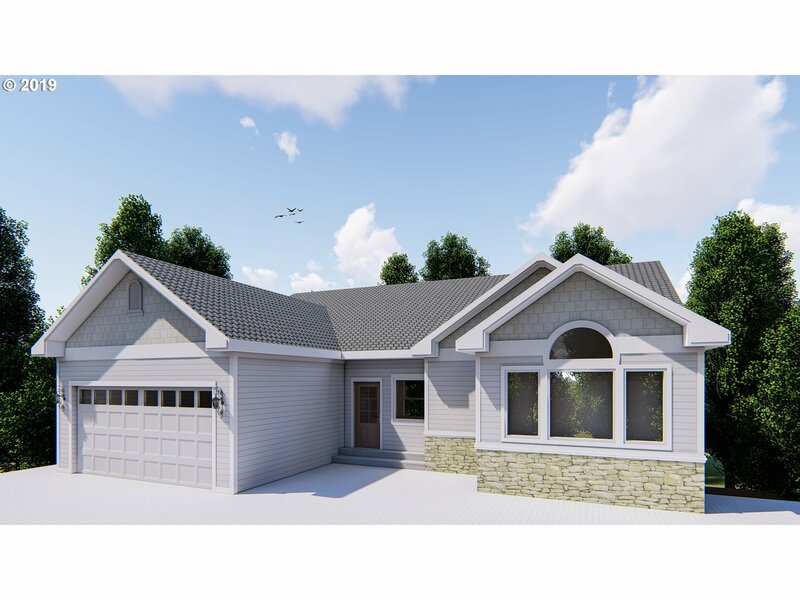 Open floor plan design with granite island kitchen, high quality laminate flooring, separate laundry room & 3 car garage. Golf course views! Act now to choose your finishes & color palette!" "Relax and enjoy the serenity on this 11.41 acre creek front parcel with 100's of feet of Calapooya Creek frontage. 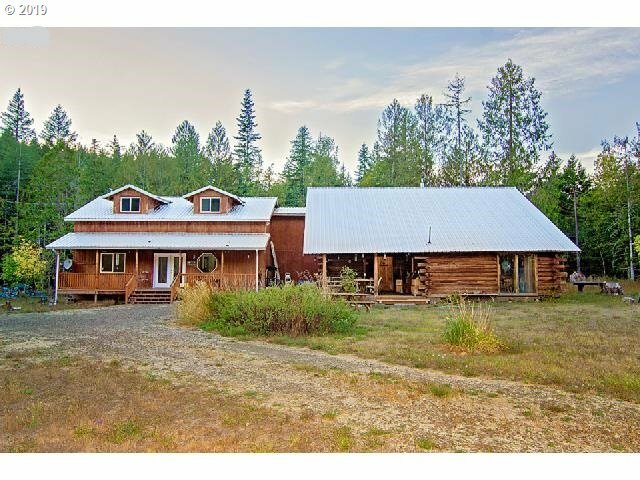 Large partial log home with mother-in-law quarters and 2nd full kitchen. Open floor plan, large rooms. 40x36 shop, equip storage building, barn & honeymoon cabin, large storage with power. Backs up to hundreds of acres of timber land. Beautiful setting." 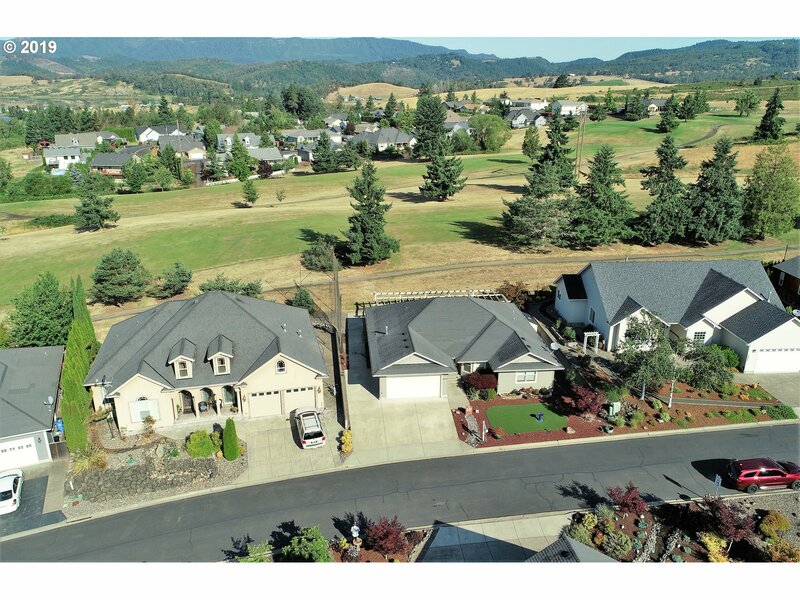 "Brand new custom home in Fairway Estates at Umpqua Golf Resort in Sutherlin. 3BR, 2.5BA, 1845 SF plus den/office or 4th BR. Luxury finishes throughout including solid Alder cabinets, granite everywhere, lam. flooring, & private deck. 2nd & 3rd BR feature a custom Jack & Jill bath set-up. Lg unfinished basement, great for storage. Gated community w/common park area & low HOA fees. Golf course & mountain views. Possible Owner Financing." "One level custom 2014 home w/ golf course views & high end finishes throughout! Home has open concept kitchen/living area & features 2 MASTER SUITES, rare 4th bedroom, hand-scraped walnut floors, upgraded granite in kitchen and all 3 bathrooms, oil rubbed bronze fixtures, & 28x10 covered patio. Master features 135 sq ft master closet, jetted tub & walk in shower. Outside are underground sprinklers, large side yard, & stamped concrete." "Enjoy living in the exclusive Knolls Estates Community at Oak Hills Golf Club. Drive your cart right onto the course. New! High quality custom designed & built home, granite counters, hickory cabinets, solid wood bamboo floors. Tile floors in kitchen, utility & bathrooms. Open floor plan features skylights & gas fireplace in living room. Laundry room with sink & pantry. 2 car garage with shop area. Expansive cedar deck with hot tub pad." "Comfort and luxury are combined in the Carousel plan! Spacious single level 3 bedroom home with high ceilings & an open concept plan an eating bar open to the dining room & great room! Patio area and back yard! On site parking with views over Knolls Estates and the golf course." 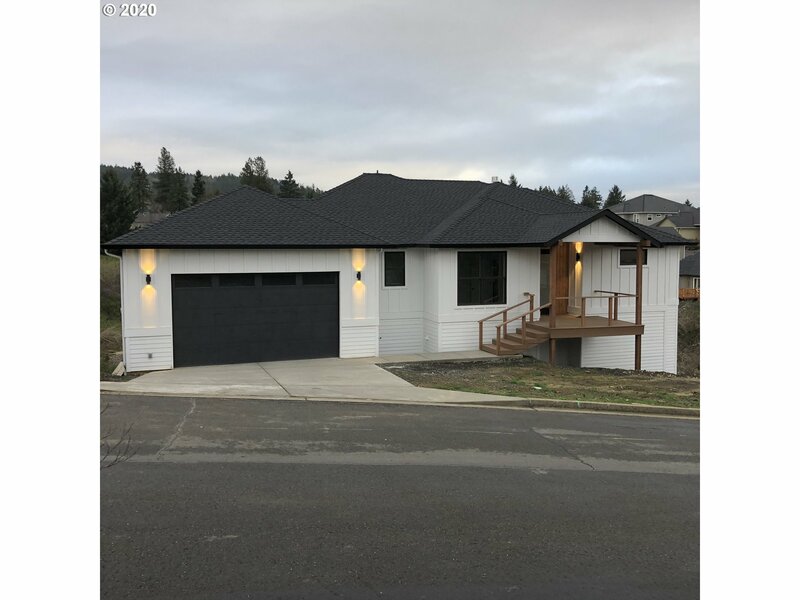 "New construction offering in Sutherlin Oregon. 3 bed, 2.5 bath, 2 story home on .40 acre. This Victorian style home is perched up on the hillside with beautiful views of the valley and Tyee mountains. Large master wing with private sitting area, large WI closet, tile shower as well as a safe room. Home comes standard with granite, custom hardwood cabinets and central air. Will build to suit." "Brand new custom home in Forest Heights subdivision, currently under construction. 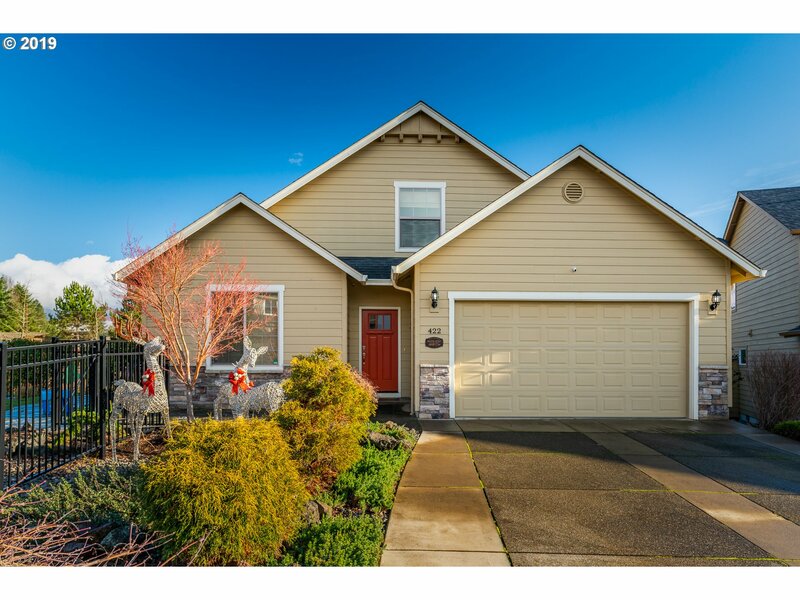 This 3 bed, 2.5 bath, 2352 SF home has a unique and open layout that comes standard with hardwood alder cabinets, granite throughout, high-quality laminate & carpet flooring. Beautiful valley views and sunsets over the Tyee mountains. Quality construction at an affordable price. Act now to pick your colors and finishes!!" "Stunning views from this gorgeous custom home on the golf course! Views of the city, the mountains & golf course. Vaulted ceilings, open floor plan, beautiful kitchen, stainless appliances, granite, hardwood floors, tile, guest suite w/ half bath, Fenced awesome side yard, w/ Gazebo & beautiful landscaping. This is the only home in this subdivision on a double lot w/room for children and/or pets. Don't miss out on this stellar home!" "Beautiful custom built home in exclusive Knolls Estates development on 5th fairway at Oak Hills Golf Club. Great views of the course. Drive your cart right onto the course. Large 18x20 living room open to dining room & kitchen with granite counters, tile floors, breakfast bar & pantry. Master bedroom suite with jetted tub, shower & 2 walk-in closets. Large covered patio with pergola & hot tub. Low maintenance yard with artificial lawn." "Enjoy the amazing views and wildlife while relaxing on the wrap-around deck! Private and quiet yet located only minutes to town! Plenty of room to park all the toys with the 36x40 detached RV & car garage, 26x12 boat/machine garage w/front & back roll-up doors and a 8x12 tool/garden shed. 30 yr roof and skylights installed approx 2010, Trane heat pump & furnace approx 3 yrs old. Home features an open floor plan and split living concept." "High end home at affordable pricing! 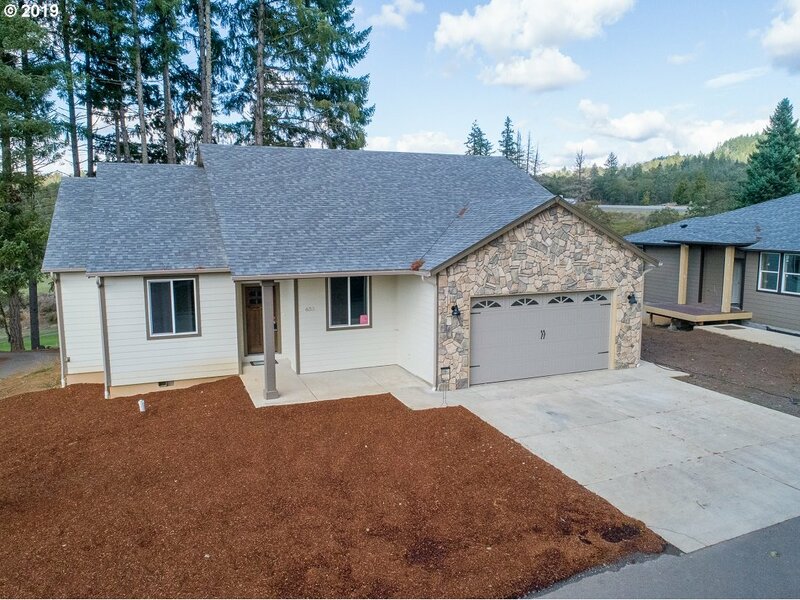 This brand new home in Fairway Estates at the Umpqua Golf Resort shines with high end finishes with real wood alder cabinets, granite counters-kitchen island-and bathrooms. High end laminate floors, Travetine,fine carpeting,beautiful open concept design.Fantastic gated community. Common wall unit (full ownership) Modern living, ideal for 2 family set up. Dog park and athletic courts!" 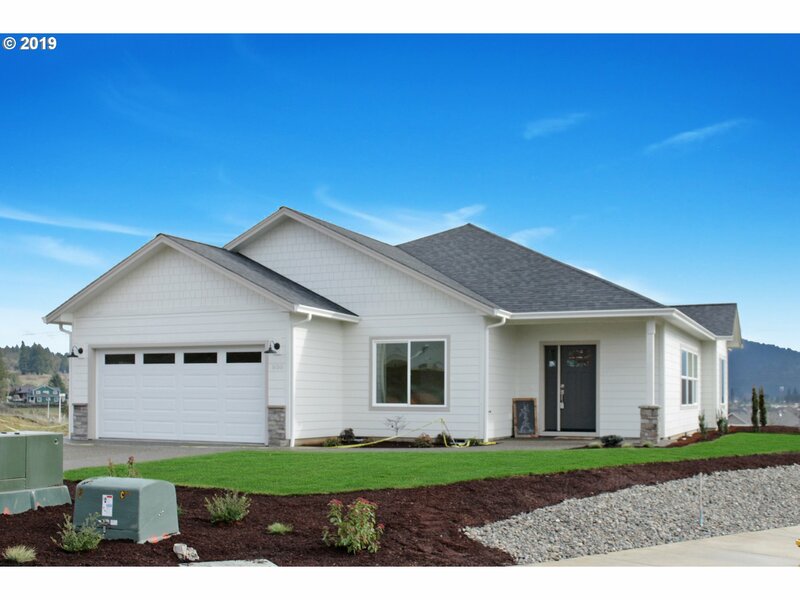 "Brand new home in Fairway Estates at Umpqua Golf Resort in Sutherlin. 3 bad, 2.5 bath 1920 SF with the master suite on the main level. Solid Alder cabinets, granite in the kitchen and bathrooms, top quality carpet and laminate floors throughout. Gated Community with common park area and low HOA Fees. All of this for under $160/SF. Call today for a private tour." 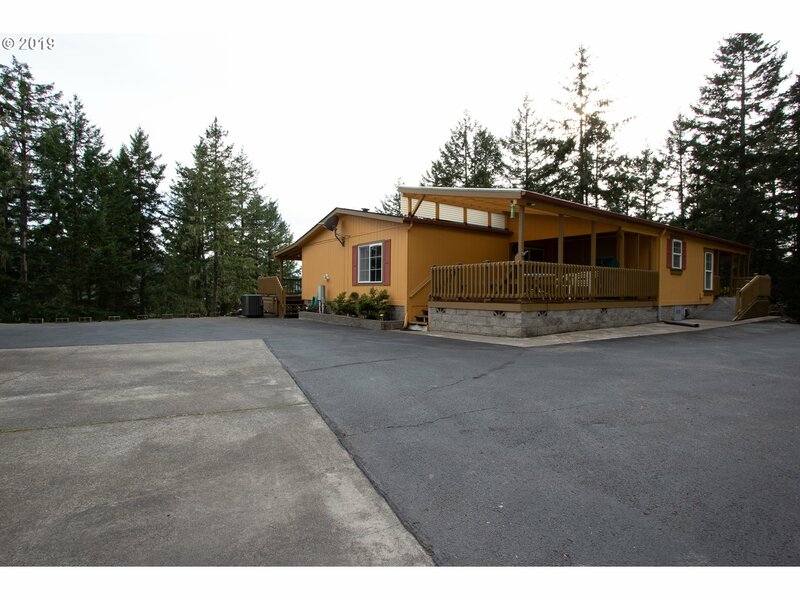 "Beautiful 1596 SF 3BR/3BA home on .78 acre with addn'l 990 SF guest house, currently rented. Oversized deck w/pergola. Property is fenced, plus small shop."